Indian chief with elaborate feather headdress. His body is a gourd, and his face and hands are clay. His dress is blue leather and he has a leather blanket wrapped around him. He is wearing a headdress made with feathers and yarn and holding feathers in his hand. His face and shirt are hand painted. He has a necklace made from shells. 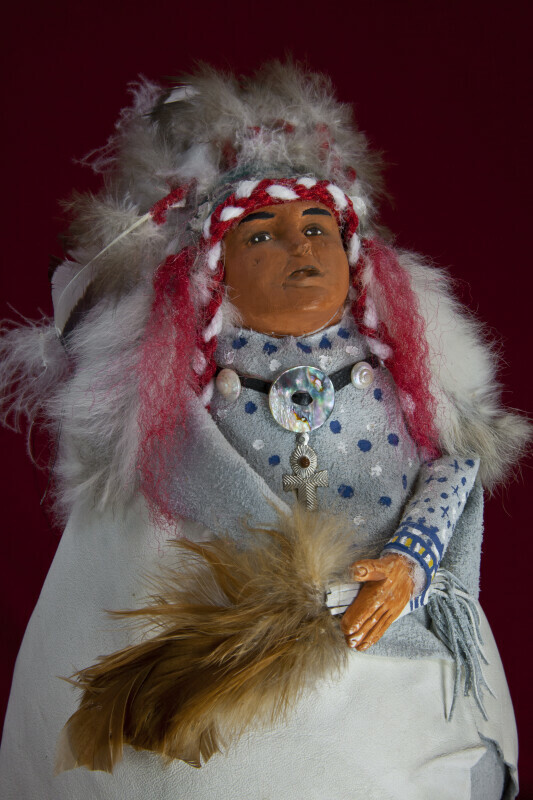 Signed on the bottom: "Blackfoot Delegat #10392" The figure is 10 inches (25 cm) tall.